GAITHERSBURG, MD — Over 2 days next week the US Food and Drug Administration (FDA) will hear from a panel of experts and advisors about the safety and efficacy of a new cardiovascular drug class that has the attention of everyone from physicians to payers to Wall Street. On June 9, 2015, the FDA Endocrinologic and Metabolic Drugs Advisory Committee will debate the effectiveness of alirocumab (Praluent, Sanofi/Regeneron) and discuss its potential role in cardiovascular care. The following day, it will do the same with evolocumab (Repatha, Amgen). The two new drugs, both of which are proprotein convertase subtilisin kexin 9 (PCSK9) inhibitors, effectively lower LDL-cholesterol levels. The drugs differ from statins—the traditional means of lowering LDL-cholesterol levels to reduce cardiovascular risk—in their mechanism and mode of delivery. And if the drugs are approved later this summer, it’s all but certain they will differ in how much they cost payers and patients themselves. For physicians who treat patients with hypercholesterolemia and dyslipidemia, there is a sense of cautious excitement. Even with that caution, though, it’s hard not to feel alirocumab and evolocumab will change the way doctors treat and manage a wide range of patients with elevated LDL-cholesterol levels. 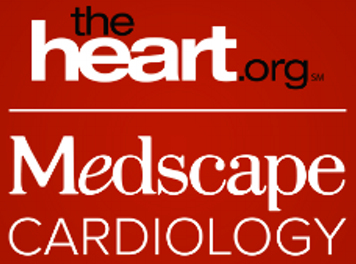 “If you’re a cardiologist, you must not have a pulse if you’re not excited” about the potential availability of the two new agents, Dr Amit Khera (University of Texas Southwestern Medical Center, Dallas) told heartwire from Medscape. To heartwire, Martin said the preliminary data suggest the PCSK9 inhibitors do confer a benefit on hard clinical outcomes. In a paper published in the Annals of Internal Medicine, researchers combined phase 2 and 3 studies with 10,159 patients randomized to treatment with or without a PCSK9 inhibitor and showed a statistically significant 55% reduction in mortality with the drugs. There was also a statistically significant 51% reduction in MI. Martin said that while the evidence supporting statins for the reduction of hard clinical outcomes is strong and these drugs will remain the cornerstone of cardiovascular risk reduction in patients with elevated cholesterol, he treats patients with severe dyslipidemia and others at high cardiovascular risk. As such, there is a need for another option.